Most tourists heading for the UK go to England and Scotland. Obviously these two countries are fantastic places to visit, but it would be a waste to ignore Ireland. You will get everything in this small country: amazing castles, picturesque lakes, a stunning coastline, and beautiful small villages. Ireland could be your destination if you want to enjoy your honeymoon, anniversary, or simply a wonderful time with your partner. 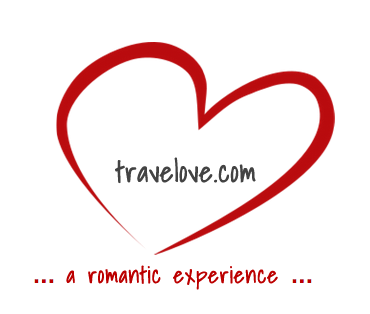 Your romantic dreams will come true here in the middle of the country’s ancient heritage and serene beauty. The best part about visiting Ireland is the size of the country. It’s small, so you will be able to see a lot of the sights and do many things, while still having a lot of time to spend with your sweetheart. The traveling in between each sight will be minimal. You will be in each other’s company always as you explore the countryside, walk hand-in-hand along sun-kissed beaches, take a ride on a horse and buggy, have a barbeque lunch beside a lake, go on a hiking expedition to enjoy the hills and woods, or explore the rich heritage of the country. So what are the most romantic places to visit in Ireland? You should visit Killarney and take a jaunting cart ride around the town. Southwestern Ireland is beautiful. Feeling adventurous? 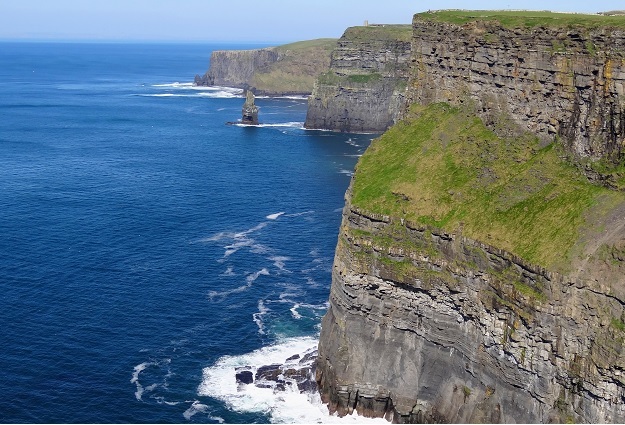 Why not try a private helicopter ride to visit the famous Cliffs of Moher—you and your love are sure to be delighted. Of course, you could see the stunning coastline from up above as well. Do not miss the Wicklow Mountains, which is often referred to as “the garden of Ireland.” Many of the finest romantic movies, including “Braveheart,” have been filmed here. In fact, there is a village that has even been named Hollywood. 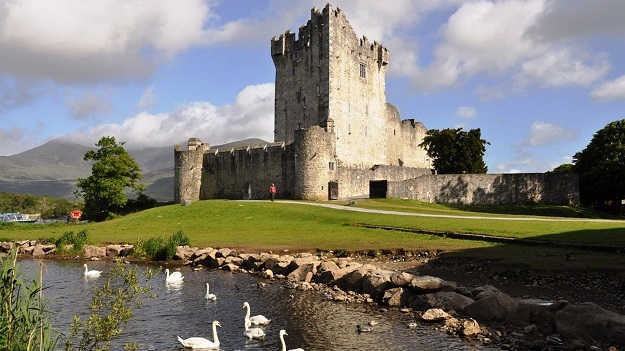 Ireland is a country of many beautiful castles, and Blarney Castle is a place you should visit just once. See the Rock Close, find the kitchen of the ancient witch, and walk down the wishing steps. 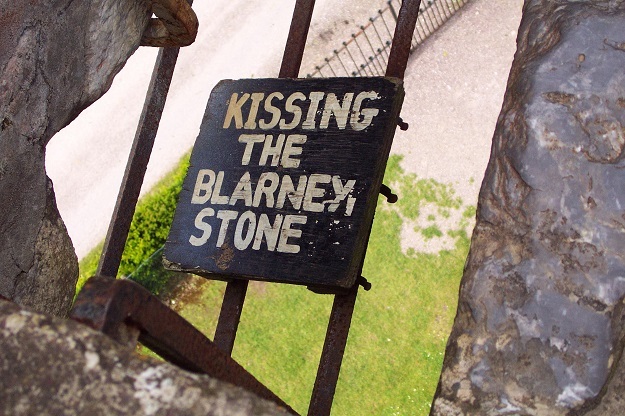 According to a legend, you get the “gift of flattery” of you kiss the Blarney Stone. Try it. There are plenty of romantic places to stay in Ireland as well. The choice is wide. You could select small B&Bs, lakeside or coastline boutique hotel and properties, a house on the cliff, or even a castle hotel. It could be a uniquely romantic and historic experience living in a castle. Most of these properties come with all the amenities modern travelers have come to expect. Many of them are cozy inns and hotels with unique décor, fireplaces, comfortable bedrooms, and a chic lobby. One Response to "Romantic Fun in Ireland"
Thank you for the useful suggestion about Dubai. my neighbor were just preparing to do a little research about the best place where to eat in Dubai. We got a grab a Dubai Travel Guide from our local library but I think I learned more from this post about the restaurant in Dubai. I am very glad to see such excellent info being shared freely out there.